Long time readers will know about the sentimental connection I have with Saabs. 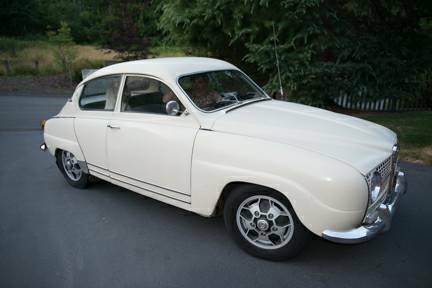 Last night, Wheeler Dealers – Trading Up was on, and one of the cars Mike traded was a 1972 Saab 96 that had spent 34 years with the same owner. Remarkably, it was less than $2000, so that reminded me how these are great driving cars. In fact, he went out of his way to point out how many people might expect it, based on looks and size, to perform like a VW Beetle, but that it was in fact a much better handler and much more spirited driver than the VW. Find today’s budget 96 V4 in Woodinville, WA (just north of Seattle) for $2500. One of the cars that’s always been interesting for me (if you live within an hour of Berkeley, you really can’t avoid them!) is the Volvo 122. They’re really quite attractive sedans in the typical European look of their era. To see what I mean, take a look at a contemporary Fiat 1100, VW Type 3 notchback or squareback, or maybe even an Austin 1100. They’re also still easily modified with cams, suspension, and ignition improvements readily available. And I can’t imagine I’m the first person to think it would be cool to drop a 1980s Volvo turbo engine in one of these, although according to VClassic, supercharging is a better choice. 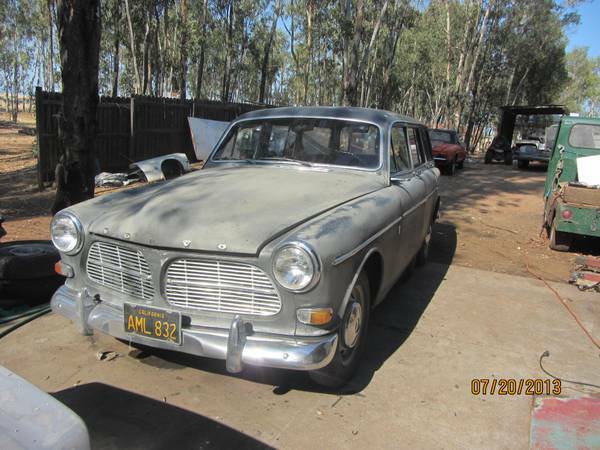 But right now, that’s all academic – today’s Volvo is available for $3500 in Oroville, CA. There were no 1975 Alfa Romeos offered for sale new in California. Alfa was still working on changes to its emissions systems, and didn’t have those ready in time, so was forced to continue sales of 1974 cars well into 1975. Can you imagine what that does to dealers? Could you imagine that happening nowadays? Meanwhile, all the other states got the new Alfetta GT, the new Alfetta sedan, and the updated spider with the big rubber bumpers (okay, maybe they weren’t really missing out on that last one!). Well, the irony is that these cars are once again desirable in California because they are a small group of Alfettas that don’t need to pass smog testing. 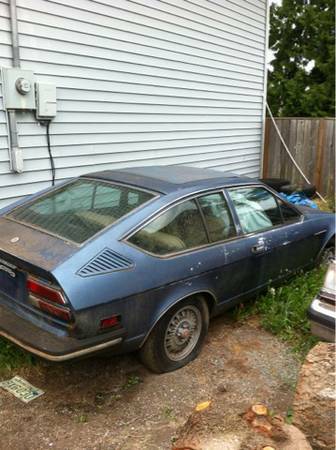 Find this rare Alfetta in Everett near Seattle, WA for $1200.